Estimated Cooking Time: About 1 hour for mini-bundt cakes, and about 2 hours for large bundt cake. Put sugar, butter, orange liqueur and water in a medium saucepan. Stir over low heat till sugar dissolves. Increase heat and boil for 2 minutes. Make sure to keep an eye on it cause it can easily boil over. Cool completely. Set aside to pour over baked cake. Preheat oven to 350 degrees. Mix eggs, oil and sour cream together in a medium-large bowl. 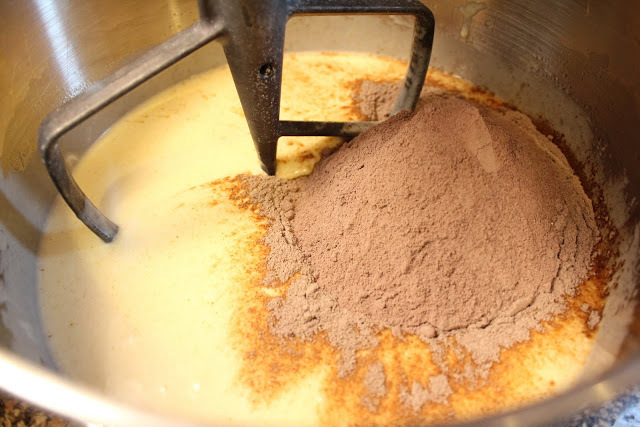 Gradually add cake mix and pudding mix. Add 1/2 cup water, coffee liqueur, orange peel and cinnamon. Blend well for 3 minutes. Stir in chocolate chips. Pour into greased bundt pan. For mini bundt pans bake for 20 minutes. 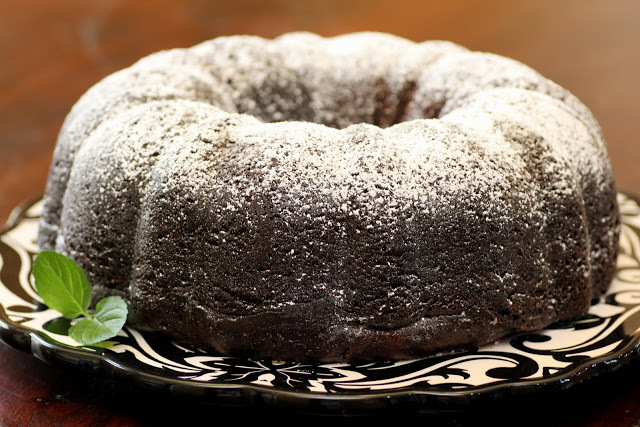 Bake large bundt for 50 minutes to an hour. Remove from oven and poke cake with toothpick or skewer several times. Spoon sugar orange liqueur mixture over cake. Set for 30 minutes before removing from pan. Sprinkle cake with sifted powdered sugar.